Recently being name one of Canada’s Top 10 Vegan Athletes has been an absolute honour, and equally as much of a responsibility. Explaining why my in-depth research lead me to these personal choices has now taken an even broader approach since the Canadian Food Guide announced its most significant change in 12 years with the elimination of “milk and alternatives” and push towards consuming plant-based protein. If you asked me my opinion on ditching dairy nearly three years ago and I would have called you nuts! As an ultramarathon trail runner I never thought I could keep up with running 50+ kilometers if this “must have” food group was no longer in my diet. 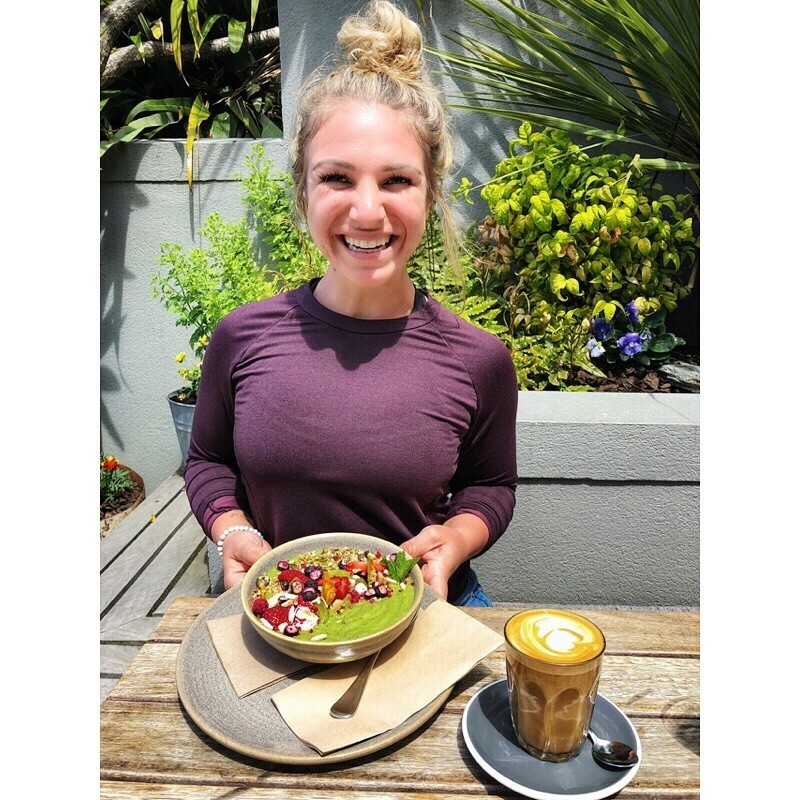 That’s until I started to dive deep into why my body and mind was fighting the consumption of dairy, and take a look behind the scenes to really uncover the truth of what is best for our bodies nutritionally. As an international speaker now helping people across the world implement a plant-based lifestyle, I’m happy to share that after many visits to Europe walking into grocery stores shocked by how tiny their dairy selection was, that eventually Canada’s standards may measure up to the same. All thanks to awareness. Medical experts are revealing the many health hazards of dairy foods. The curtains are being pulled back to expose the truth behind the dairy industry’s deceptive marketing campaigns, and my purpose is to help you learn the facts, and make a decision for your best health based around that. What’s key to know about the Canadian Food Guide announcement in regards to milk? 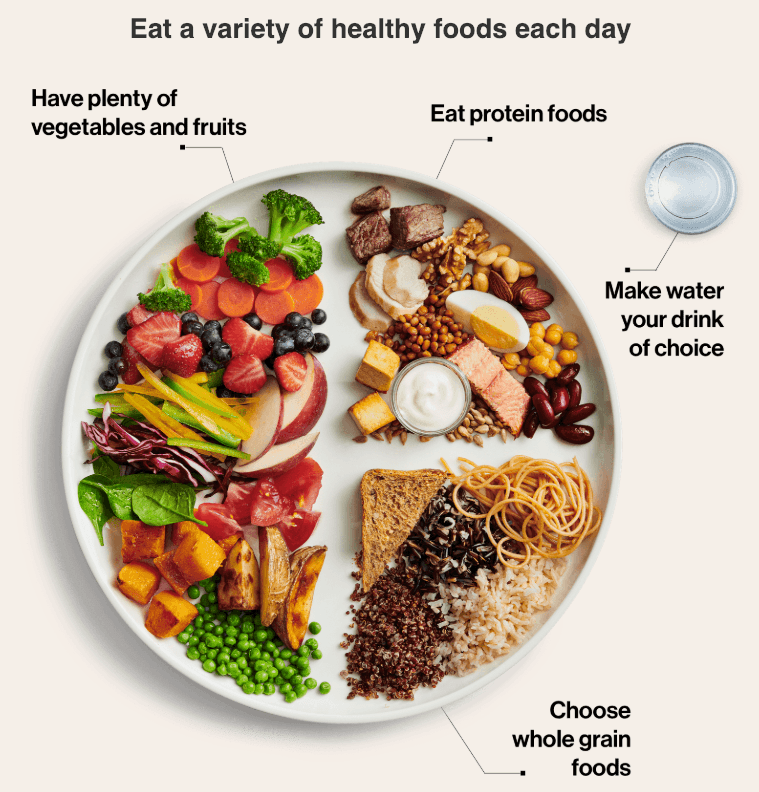 Dr. Hasan Hutchinson, director general of Health Canada’s office of nutrition policy and promotion, said the long-awaited rewrite of the food guide is based on a rigorous scientific review using the best available evidence. Cow’s milk allergies might be more common than allergies to peanuts, shellfish, and eggs. The allergy mostly affects infants and children, but also as many as 1 in 13 adults. According to the National Institute of Health, 65% of adults experience dairy intolerance, a generally lifelong inherited condition characterized by varying levels of difficulty digesting lactose (dairy sugar). This condition is commonly referred to as lactose intolerance. Research links cow’s milk to a possible increased risk of ovarian cancer. In a study examining the incidence rates of ovarian cancer in 40 countries across 5 continents, researchers found they were most closely correlated with cow’s milk intake. The researchers suggest that women who drank just 1 or more glasses of whole cow’s milk per day were at three times greater risk for ovarian cancer. Skim milk has also been tied to this deadly disease. 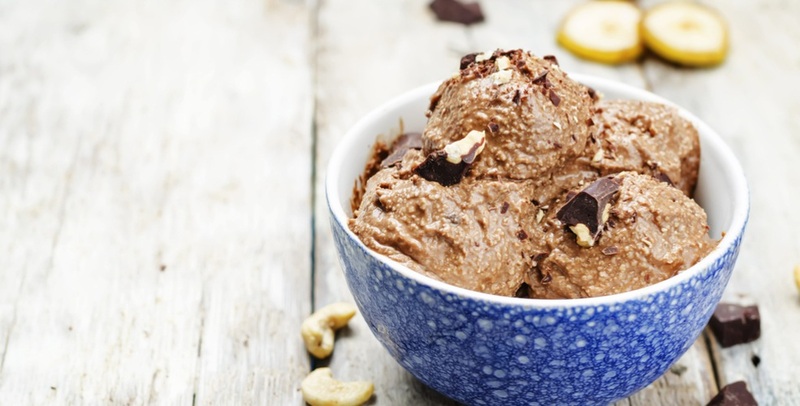 Dairy products, including full-fat milk, cottage cheese, yogurt, and ice cream cause our bodies to produce large amounts of insulin, which works against type 2 diabetes prevention.Research has found whey protein from cow’s milk to be highly insulinotropic, meaning that it causes the pancreas to produce excess insulin. Although a cup of milk has a low-glycemic index, drinking a cup of milk with other low-glycemic index foods was found to increase insulin production by an astounding 300%. While parents are giving their children milk for calcium, what they don’t know is that a study found that 8-year-old boys who were given skim milk for just one week more than doubled their insulin production. When our bodies create too much insulin our tissues become desensitized to it, which can lead to insulin resistance. If not managed, glucose will remain in the blood, resulting in hyperglycemia, a hallmark of type 2 diabetes. (The National Dairy Council recently held a webinar, “Fuels of Engagement: [Dairy] Myth Busting and Science Trusting,” to address the increasing concerns many consumers have about cow’s milk and dairy products. The webinar was specifically held for fitness professionals. I joined the Switch4Good team of Olympic and professional worldwide athletes to ask some tough but polite questions to get others on the webinar thinking. 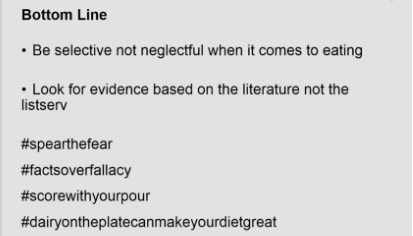 This image above was one of the slides from the online lecturer in support of dairy. What stood out most were the hashtags loudly echoing their fear that change is on the horizon). Despite this recent announcement to Canadians, there are many companies on the market with products already available to assist you in making the best choice for yourself. 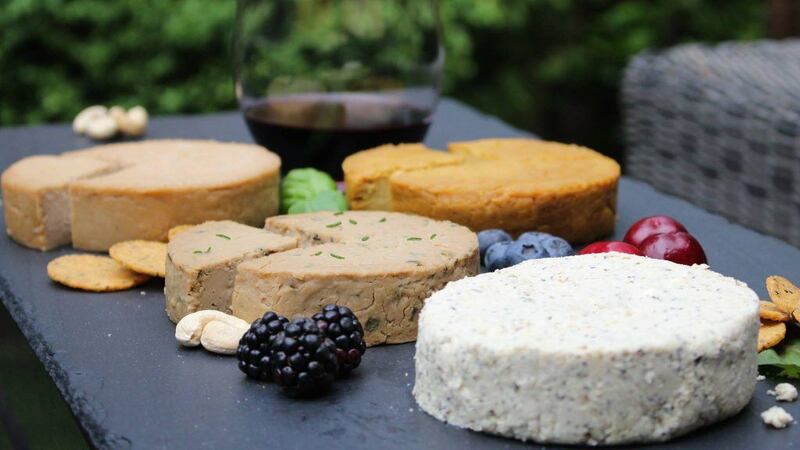 The following are listed at MandyGill.com along with dairy-free recipe ideas from breakfast to dinner and everything in between. As important as it is to highlight the nutritional benefits of plant-based milks, it’s equally important to mention the environmental impact of how much water it takes to create dairy milk. Consuming animal products is incredibly resource-intensive. Globally, farming uses about 70% of the planet’s accessible freshwater. This is compared to around 20% for industry, and about 10% for domestic use. Not only do plant-based milks typically require less water, they also have a smaller carbon footprint. 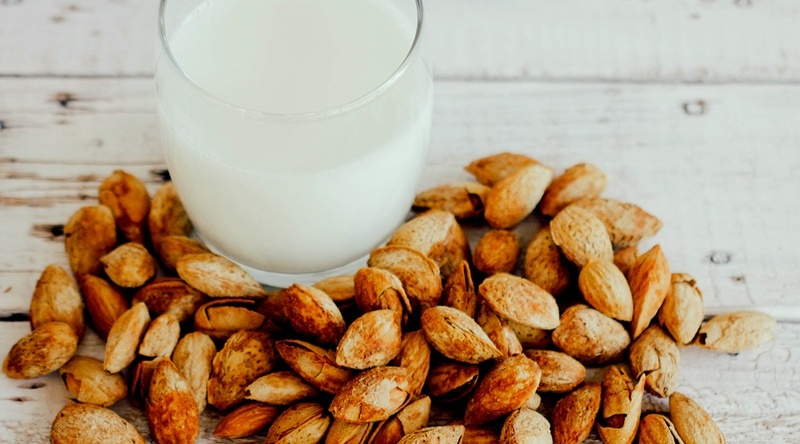 Per cup, soy and almond milk have about half the carbon footprint of gassy cow’s milk. Here’s to a healthy you and a happy planet! 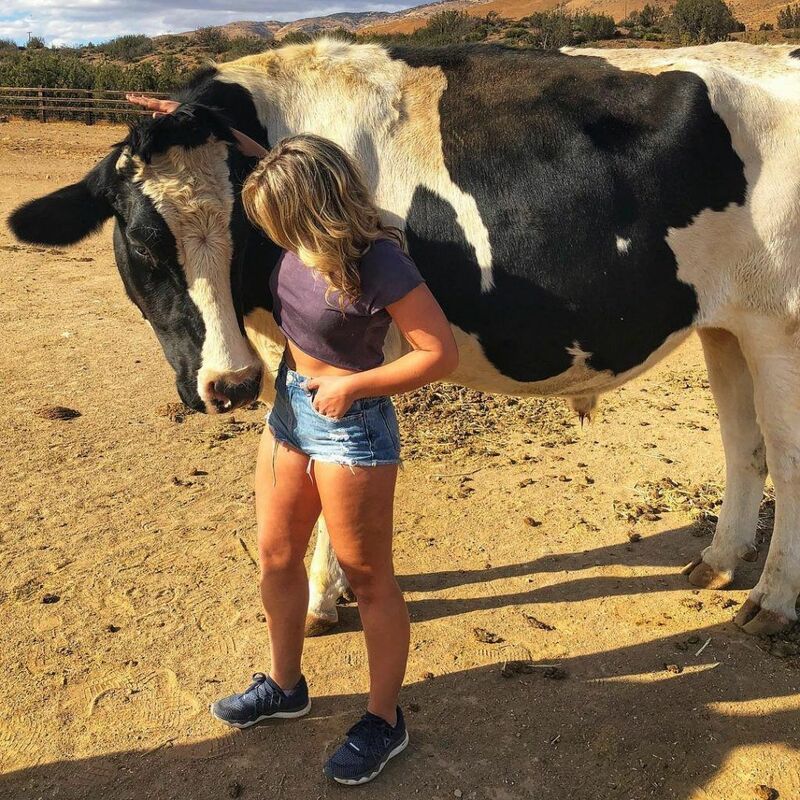 Mandy’s recent visit to the Farm Sanctuary in Los Angeles, California (Instagram).